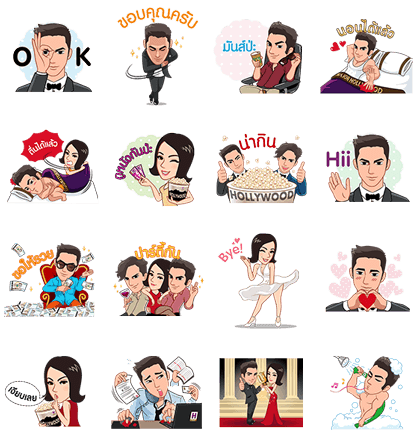 http://www.line-stickers.com/ – Movie & Happiness by We Are HOLLYWOOD Line Sticker | Unlimited happiness and endless joy for movie lovers! Friend We Are HOLLYWOOD ʹs official account to get these stickers. Available till November 26, 2014.